Bekins Van Lines has selected Bekins of South Florida as their February 2019 Agent of the Month. 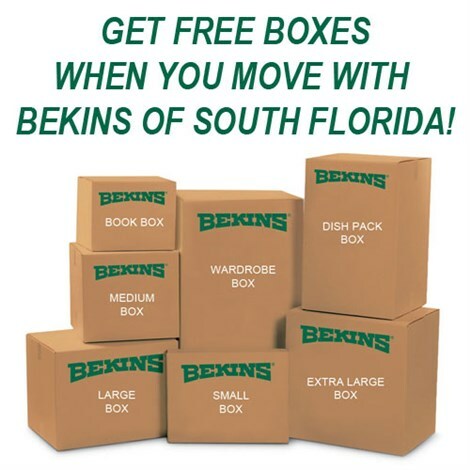 For over 50 years, Bekins of South Florida continues to excel in providing superior moving and storage services for the Fort Lauderdale, Miami, and Boca Raton, FL markets. With expert moving teams dedicated to creating a quality experience from start to finish, Bekins of South Florida holds a strong 5 star rating with hundreds of satisfied customers! Joseph Sabga, president of Bekins of South Florida, was delighted to accept this recognition. "We are honored to receive this award," Sabga stated. "This reflects the level of service we strive to give all of our customers. We are proud our accomplishments and appreciate everything we do with the Bekins family." Whatever your moving needs may be, trust Bekins of South Florida to provide you the hassle-free experience you are looking for. Call today or fill out the quote form to receive a free quote for your upcoming move!